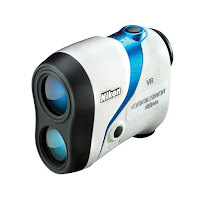 The Nikon CoolShot 80i and CoolShot 80 VR represent a major step in Golf Laser Rangefinder technology with their Vibration Reduction feature which reduces vibrations of the viewed image caused by inadvertent hand movements while simultaneously aligning the image with the activated laser beam, providing you with clearer stable target images and unequalled distance measuring performance. 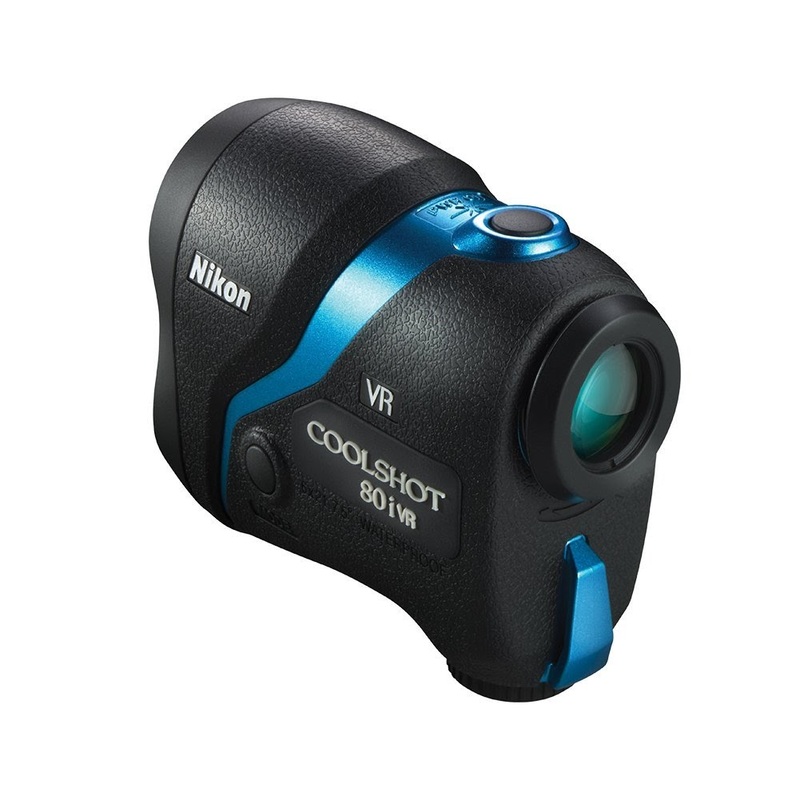 The Nikon CoolShot 80i is the Slope version of the CoolShot 80, featuring ID (incline/decline) Technology, which compensates for uphill or downhill slopes with slope-adjusted distances. 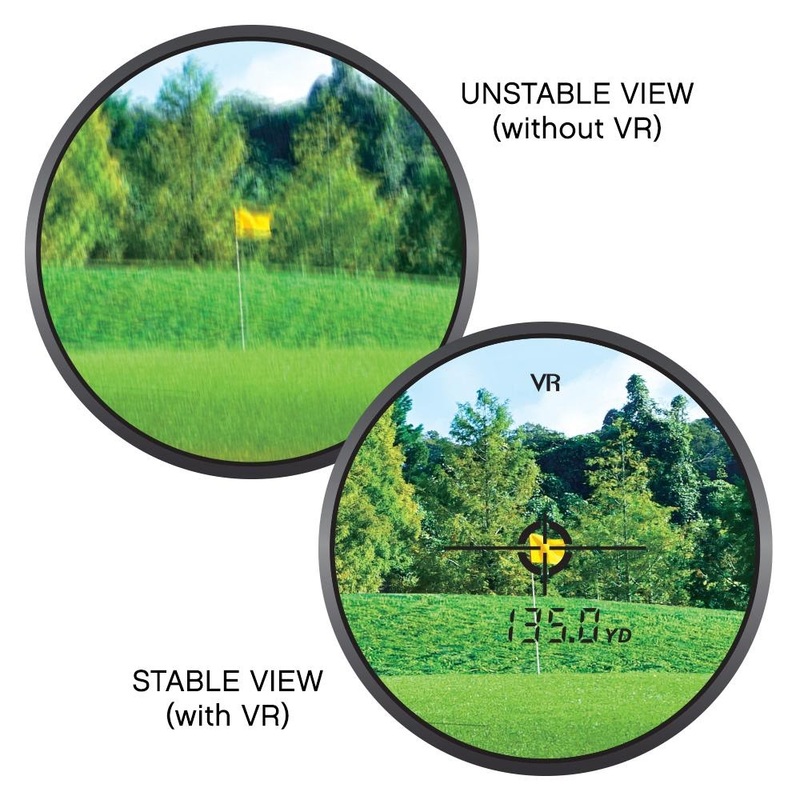 The Slope feature can be disabled to ensure that the 80i complies with USGA tournament rules. As you would expect, the CoolShot 80i retails at a higher price than the 80 for the addition of the Slope feature. 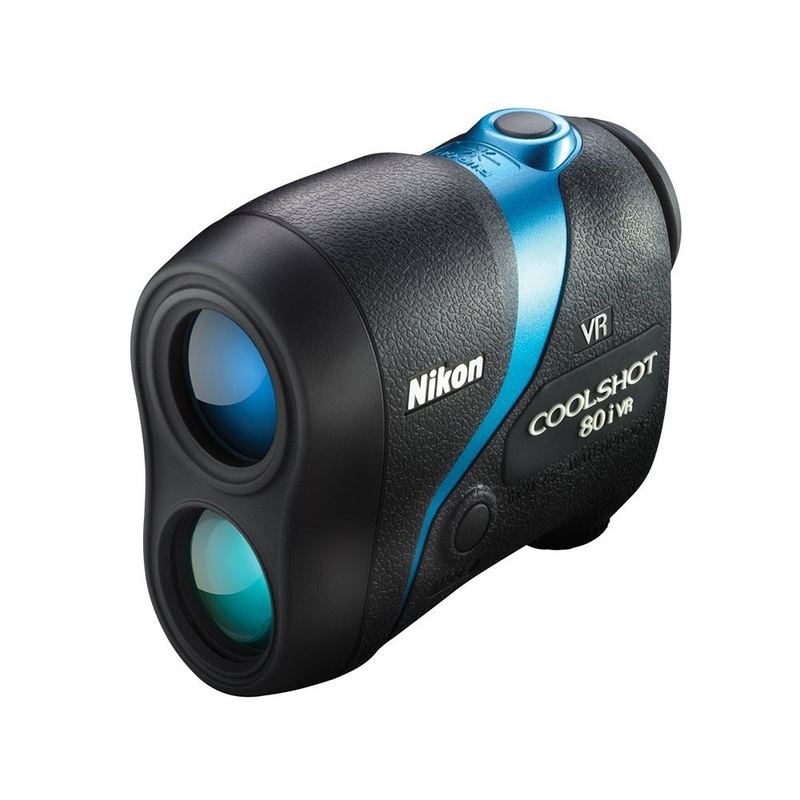 Apart from the difference of Slope or Non-slope, the Nikon CoolShot 80i and 80 are virtually the same high-tech VR Golf Laser Rangefinder. They are a nice compact size, lightweight and easy to handle and use. The Nikon CoolShot 80i and CoolShot 80 rangefinders offer quick and accurate distance measurements from 8 to 1,000 yards (in 0.5 yard increments) in less than 1/2 second with their Hyper Read ranging technology. Measurements can be displayed in either yards or meters and are accurate to +/- 0.75 m/yd (shorter than 700 m/yd) or +/- 1.25 m/yd (over 700 m/yd). 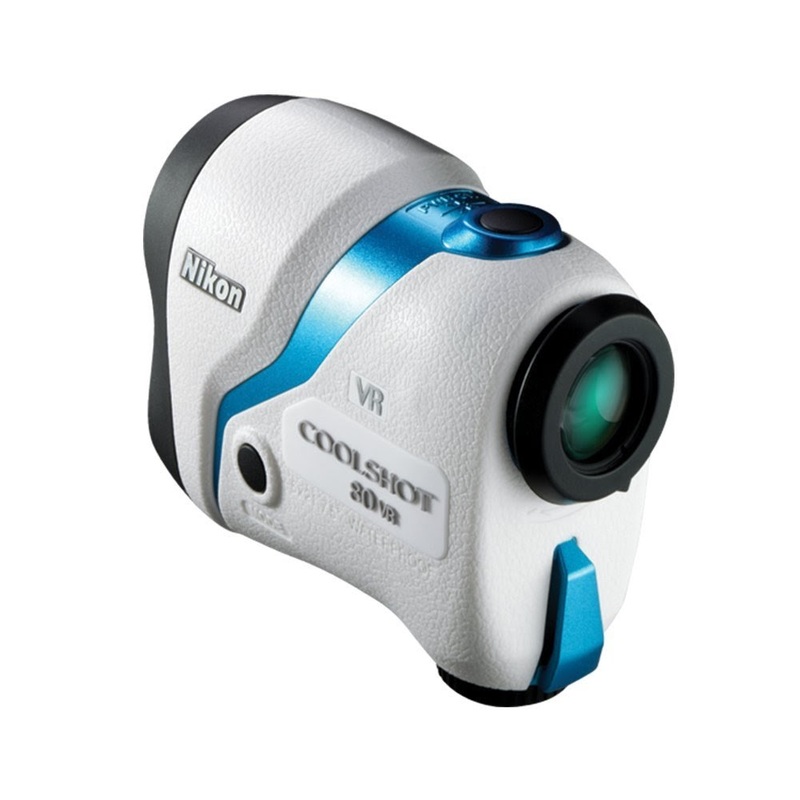 Images are sharp and clear with the CoolShot 80i and 80’s 6x magnification. 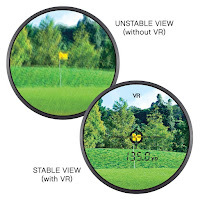 For easy viewing, both Nikon VR golf rangefinders feature a generous field of view, long eye relief and dioptre adjustment ring (see full specifications in the tables below). Both the Nikon CoolShot 80i and CoolShot 80 VR Golf Laser Rangefinders incorporate some high-end tech and useful features, including Locked On technology, First Target Priority, and 8 Second Continuous Measurement. The Locked On technology of the CoolShot 80i and 80 indicates when you’ve locked onto the flag with a “Locked On” circle that appears in the center of the reticle, ensuring accurate measurements to the flag and is ideal for measuring overlapping subjects. 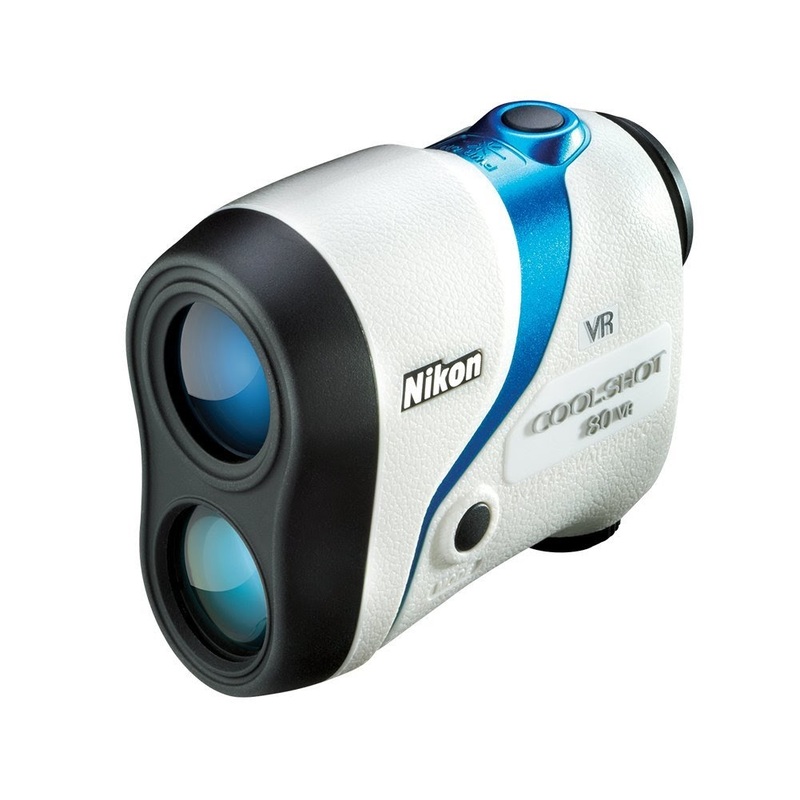 Both the Nikon CoolShot 80i and 80 rangefinders incorporate First Target Priority technology that allows for the closest object in grouped or overlapping objects to be measured and is useful for measuring the distance to a flagstick on a green with woods in the background for example. Both the CoolShot 80i and 80 rangefinders are waterproof and fog proof thanks to their all weather design and O-ring sealed body that is nitrogen purged. The battery chamber is rainproof and contains a CR2 lithium battery with a battery life of around 3,300 actuations. Vibration Reduction – reduces vibrations of the viewed image caused by inadvertent hand movements while simultaneously aligning the image with the activated laser beam. Based on Nikon’s measurement standards, image vibrations caused by hand movement are reduced to approx. 1/5 or less. When the “Locked On” circle appears in the center of the reticle, you know you’ve locked onto the flag for correct measurements. Ideal for measuring overlapping subjects! Allows for the closest object in grouped or overlapping objects to be measured. Useful for measuring distance to flagstick on a green with woods in the background for example. Press & hold the power button to continuously measure the range for a total of 8 seconds.